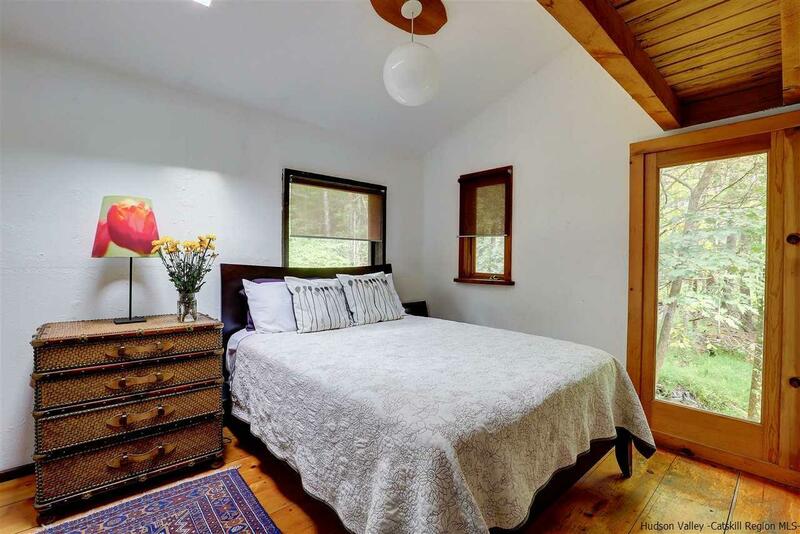 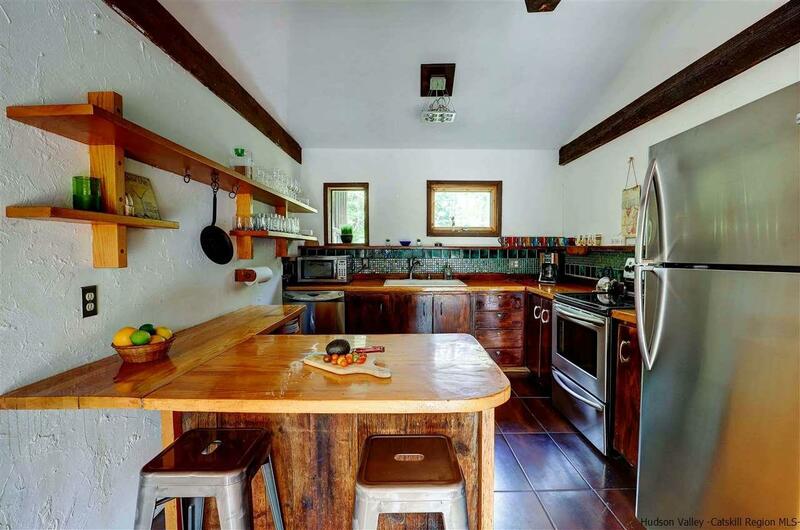 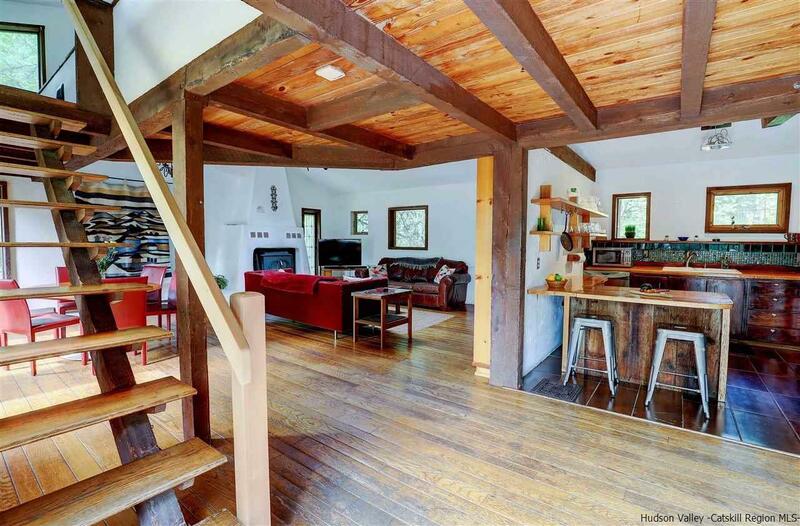 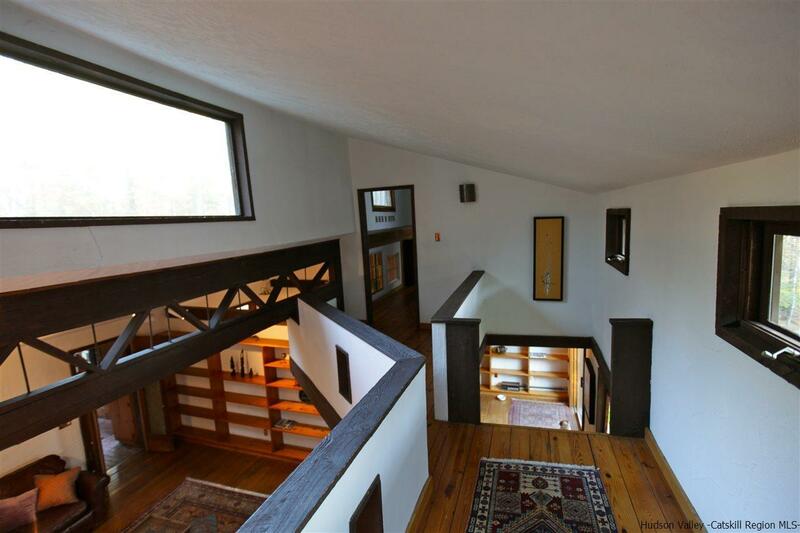 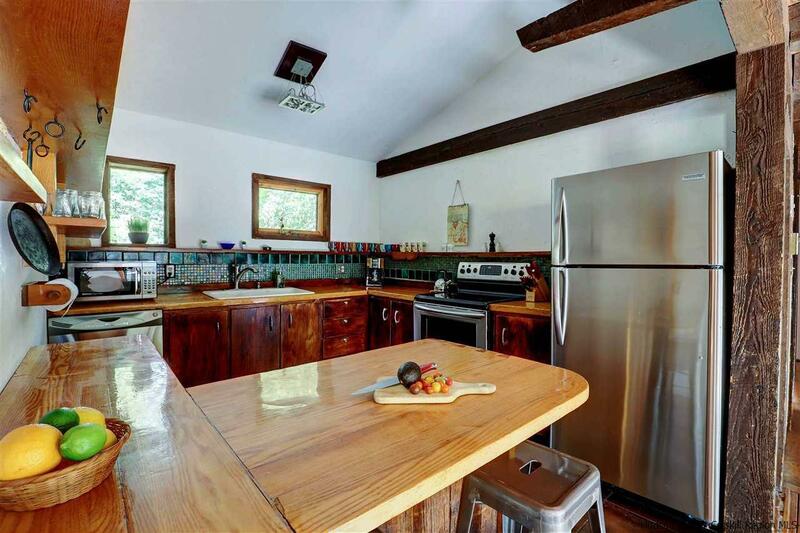 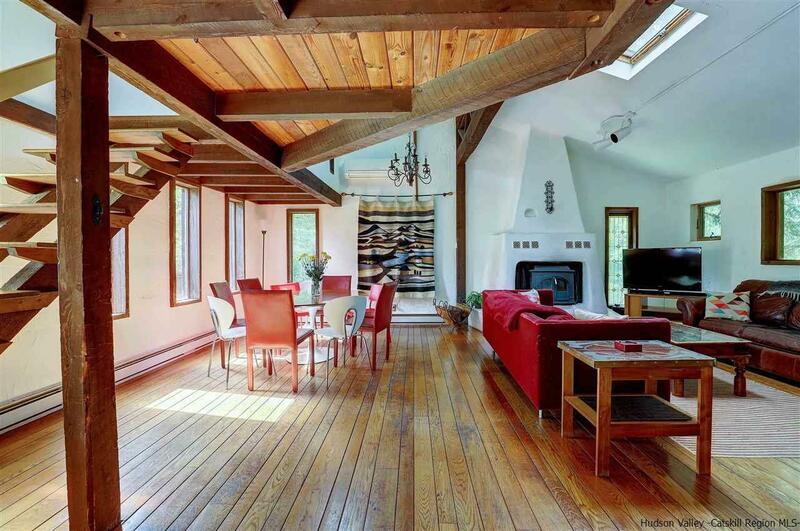 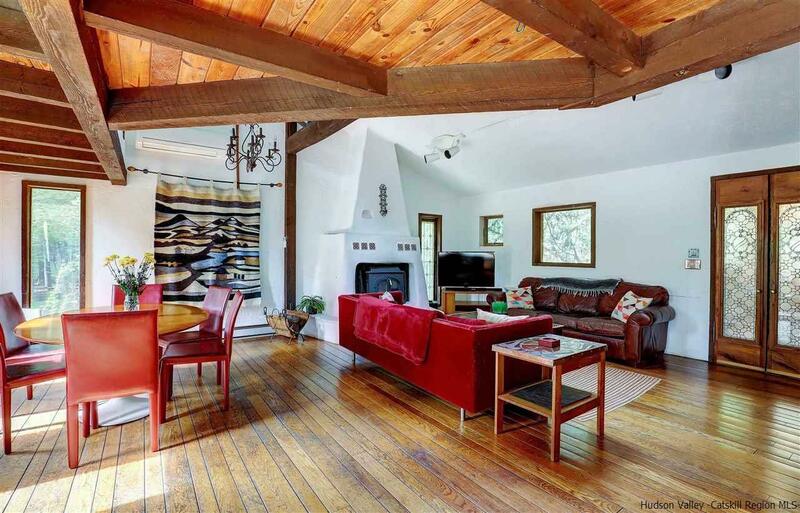 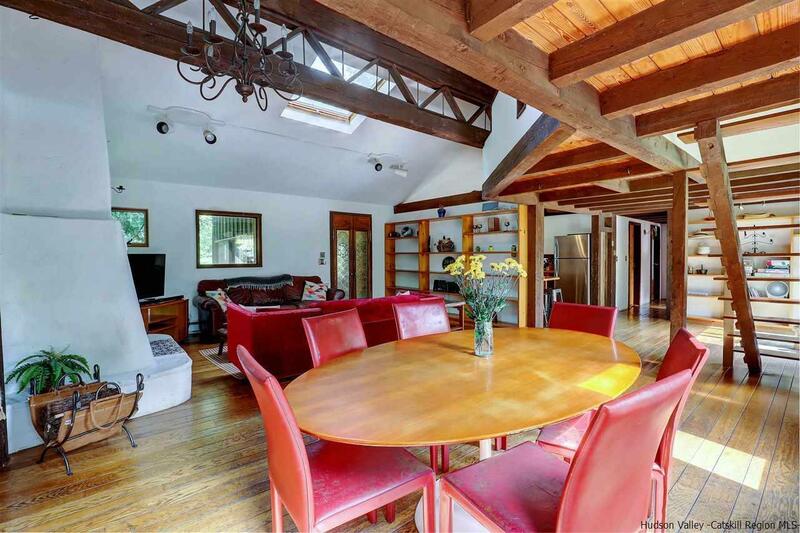 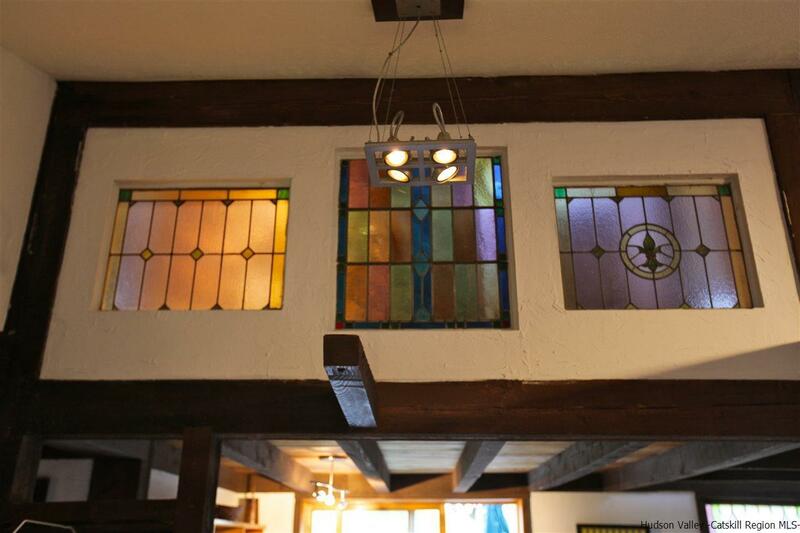 This true Woodstock home was built by a master craftsman the year of the original Woodstock Music Festival, and has been meticulously improved and maintained by its third owner. 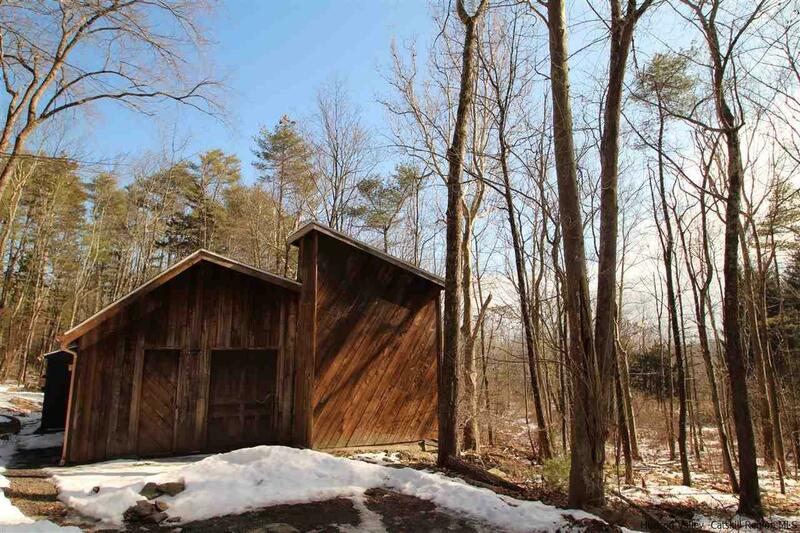 Though secluded and private, it's a mere five minutes to town. 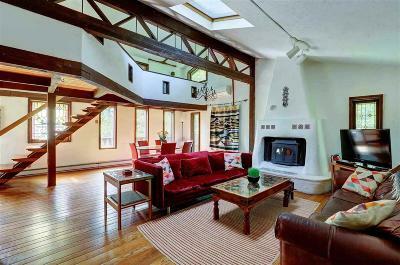 The main home spans three levels replete with handmade wood floors, custom cabinetry and beautiful accents including inlaid handmade tiles and antique stained glass. 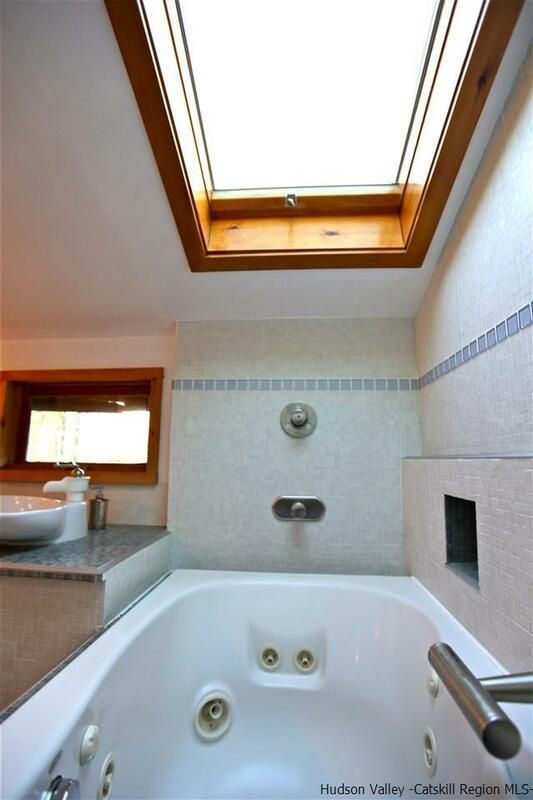 The master bedroom has an incredible wall of handmade American walnut cabinetry, and its glass tiled en-suite bath has a skylight over the jacuzzi bathtub from which to star gaze. The main level has a hospitable warm layout where kitchen dining and living areas create a flow that is perfect for entertaining. 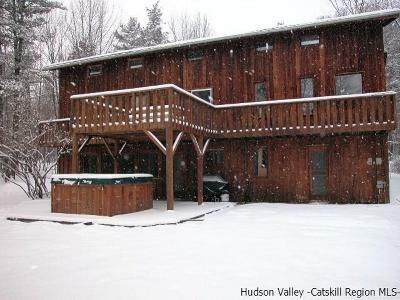 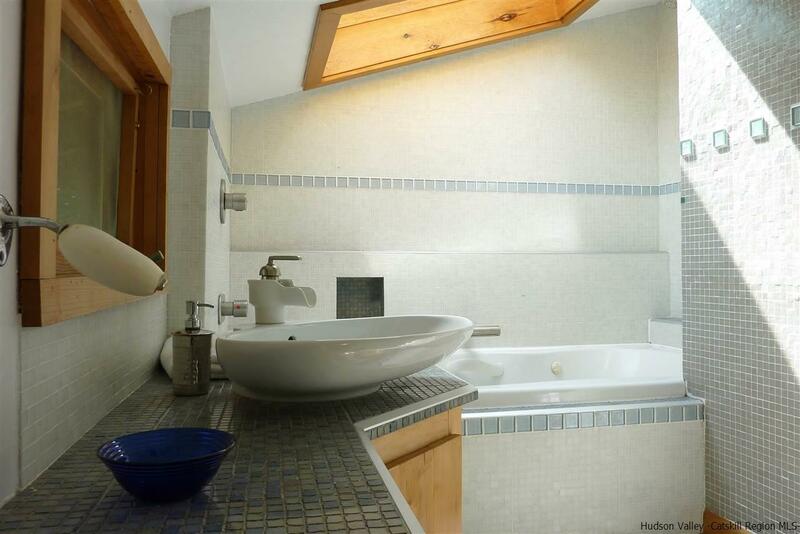 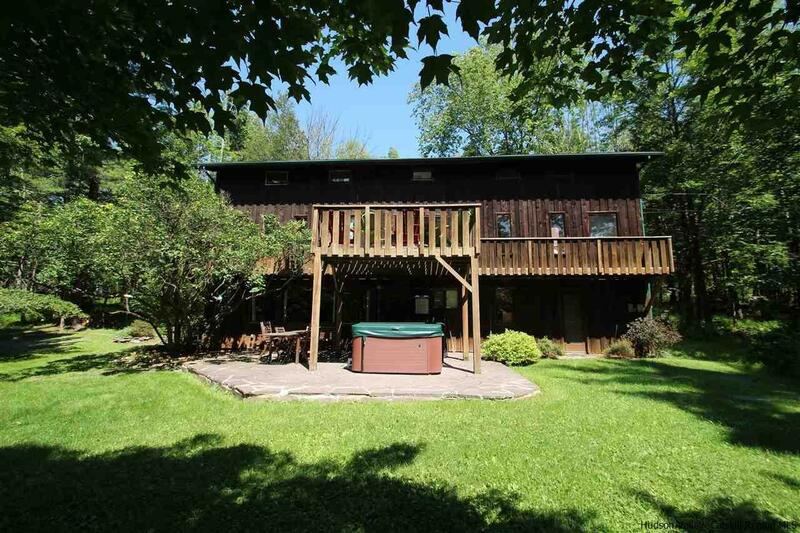 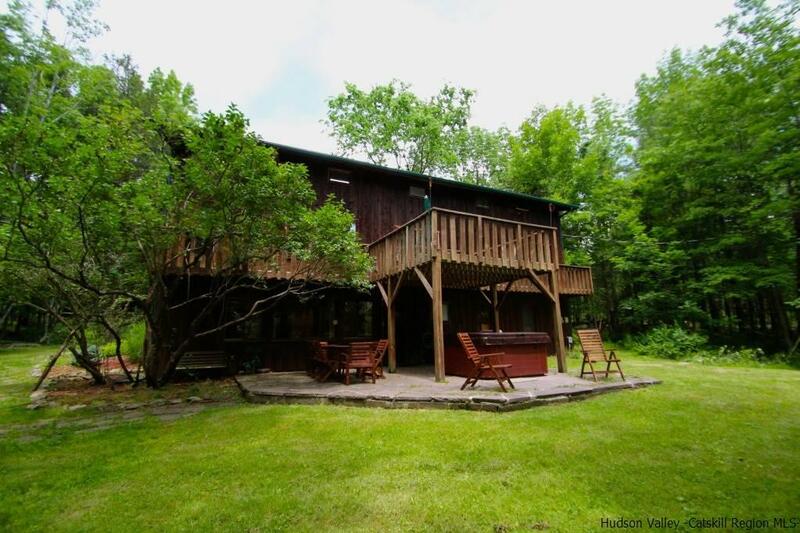 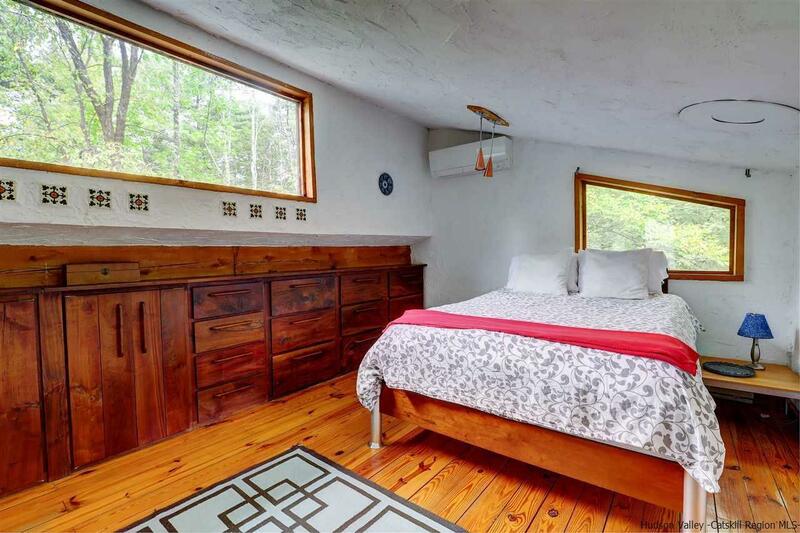 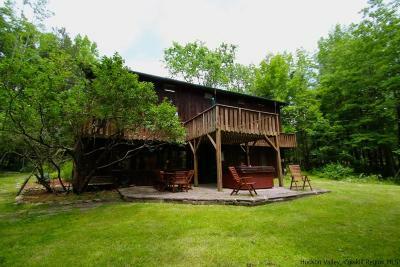 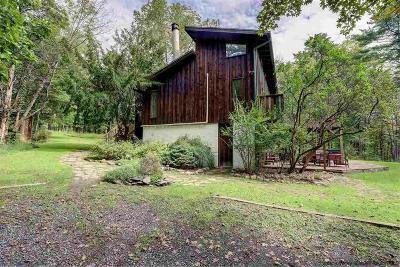 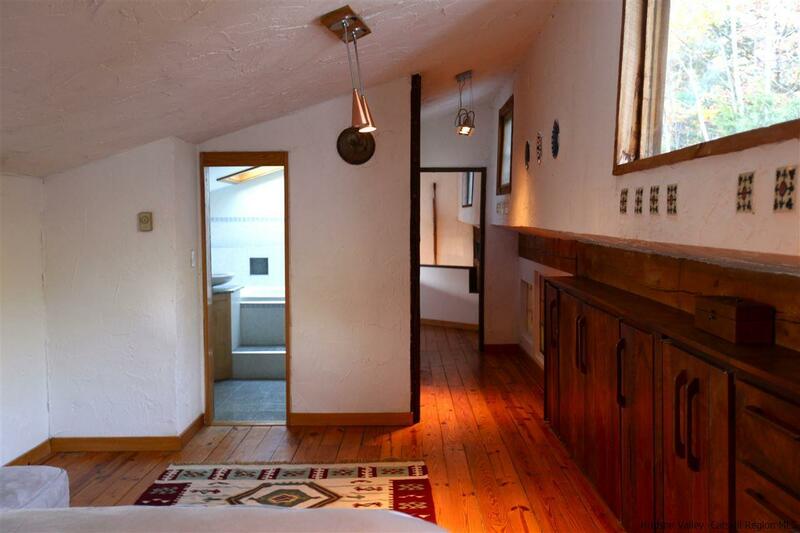 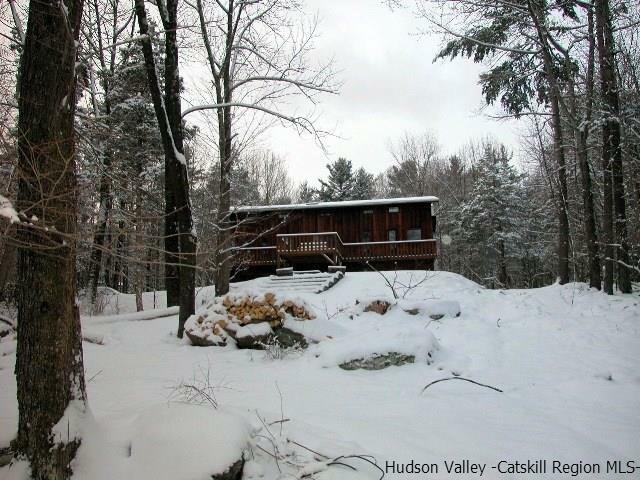 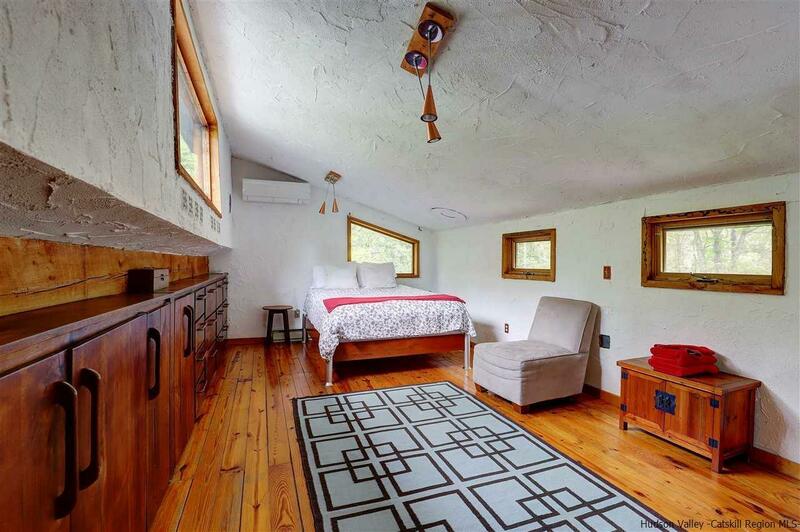 The property is flanked by two seasonal streams, and you can hear a babbling brook from the two guest bedrooms on this floor, which share a full bath. 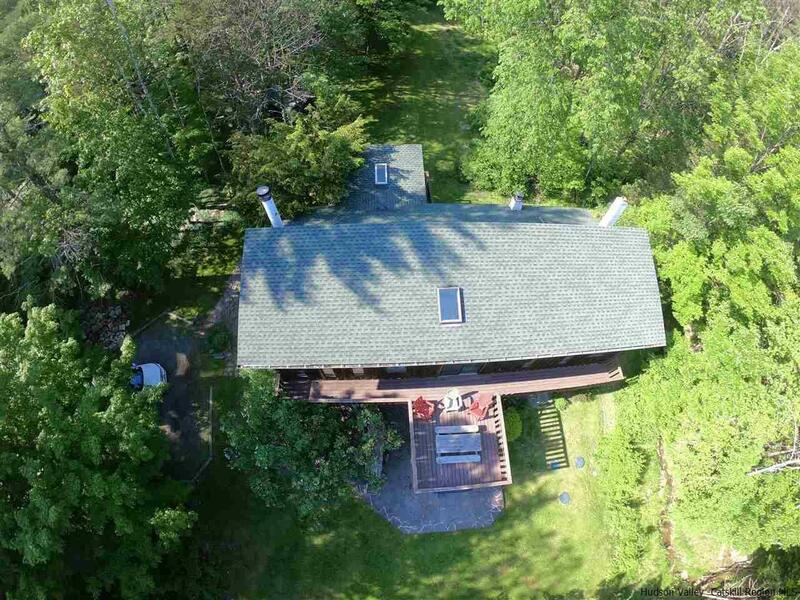 The lower level has a bluestone patio with large hot tub, and the rear yard is big enough for football games or badminton. 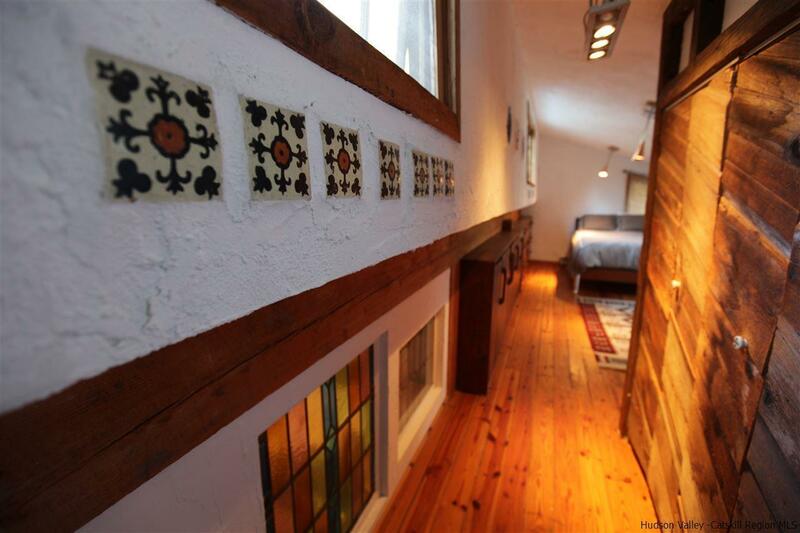 This floor also features a private entrance. 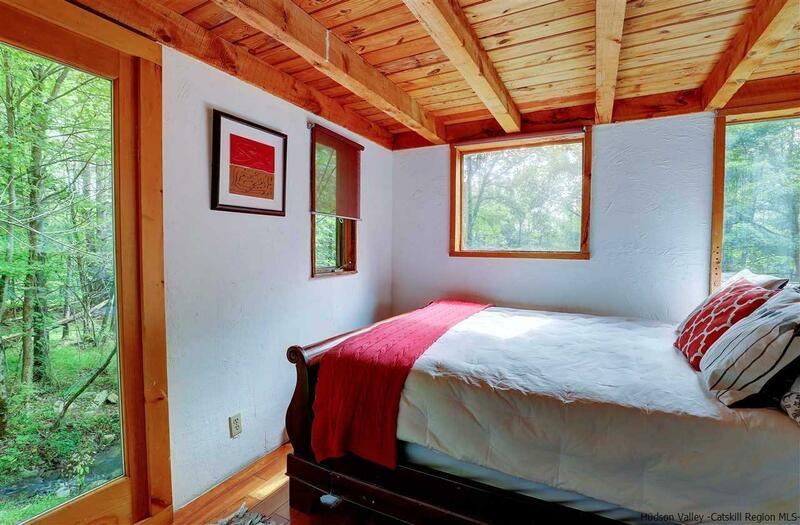 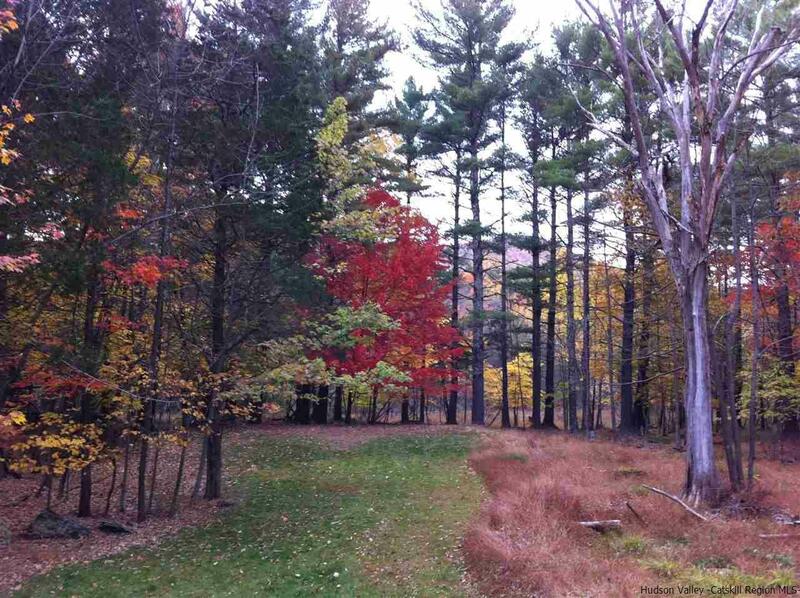 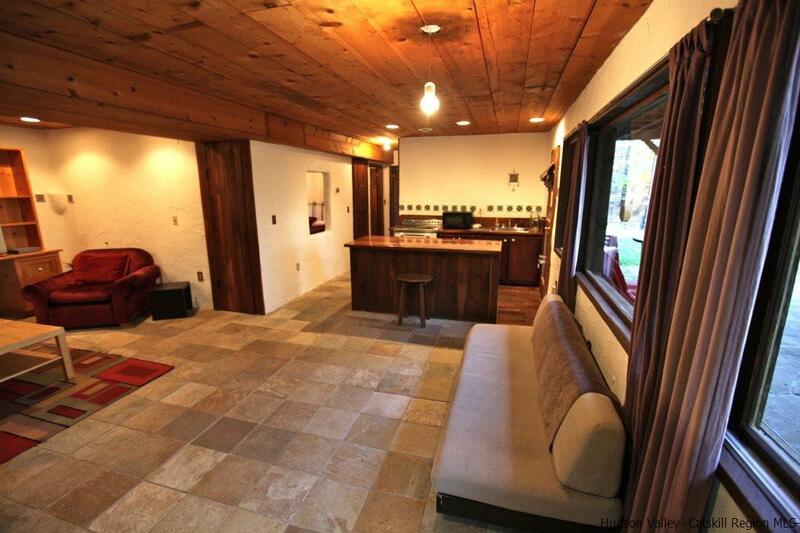 The studio is 1000 SF of zen goodness overlooking calming woods. 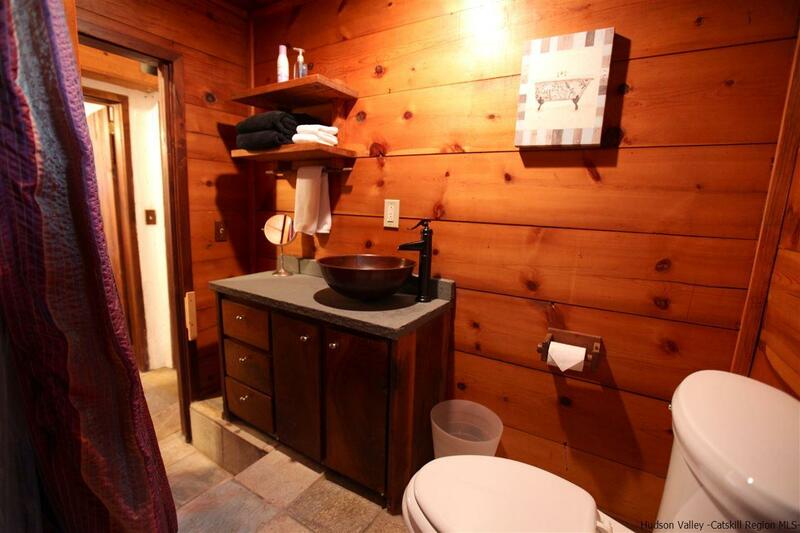 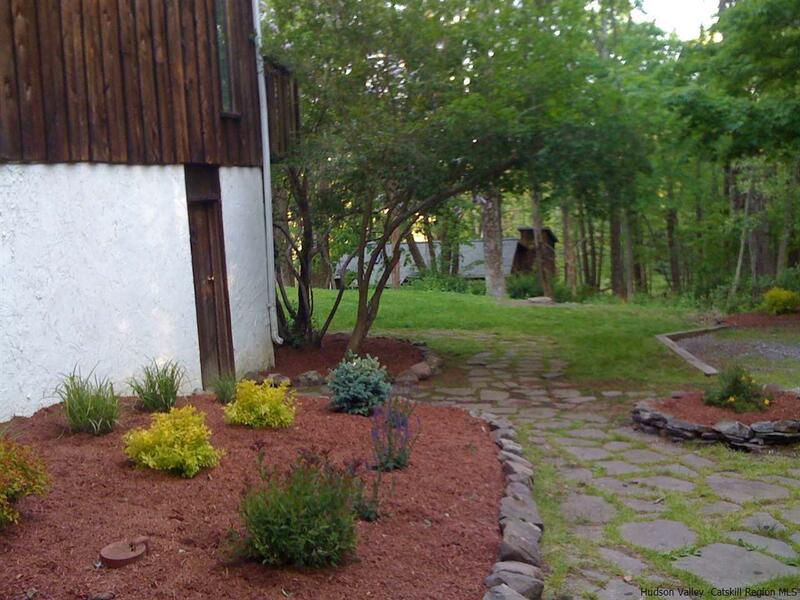 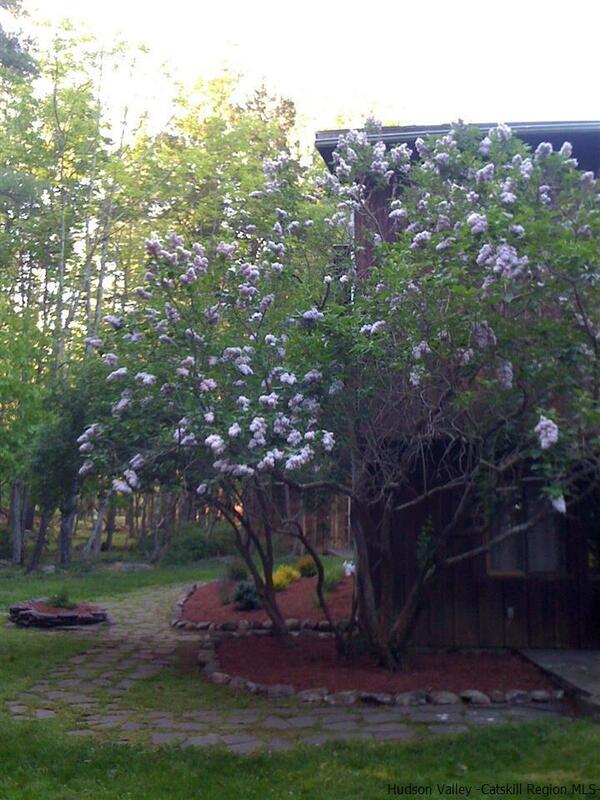 With it's own electric and septic, it's completely self contained and private from the main house. 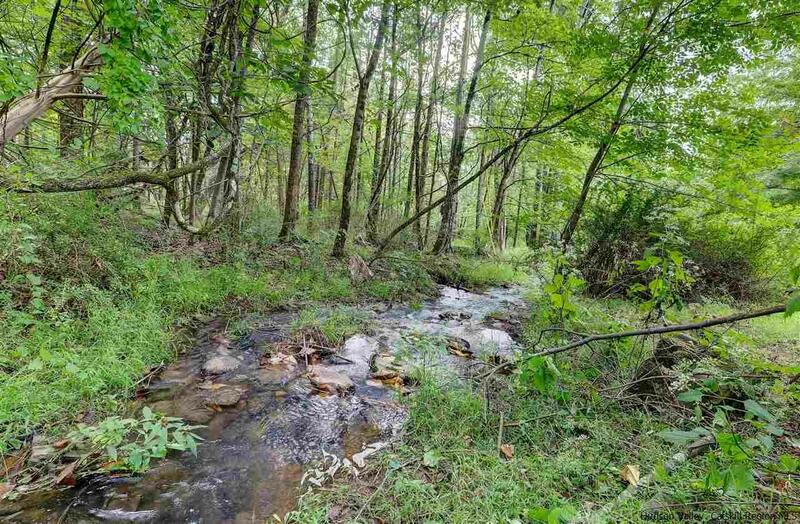 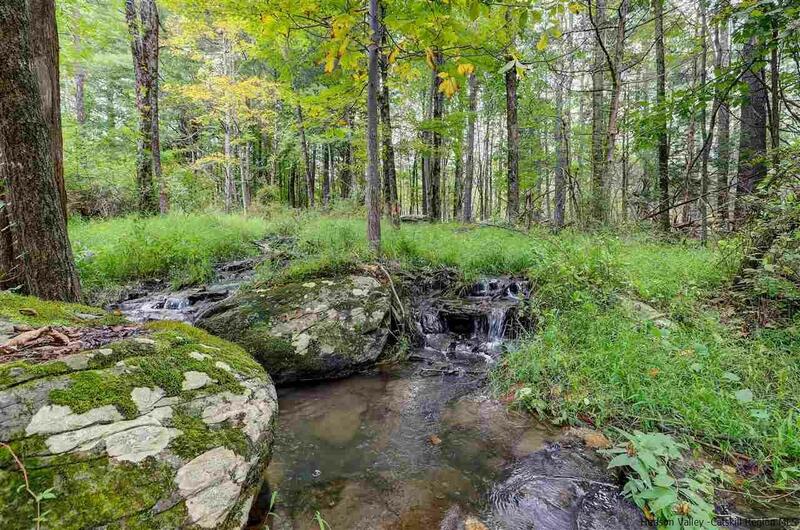 The property is set far back from Glasco Turnpike in the woods (zero road noise is audible), and abutts protected lands ensuring forever privacy. 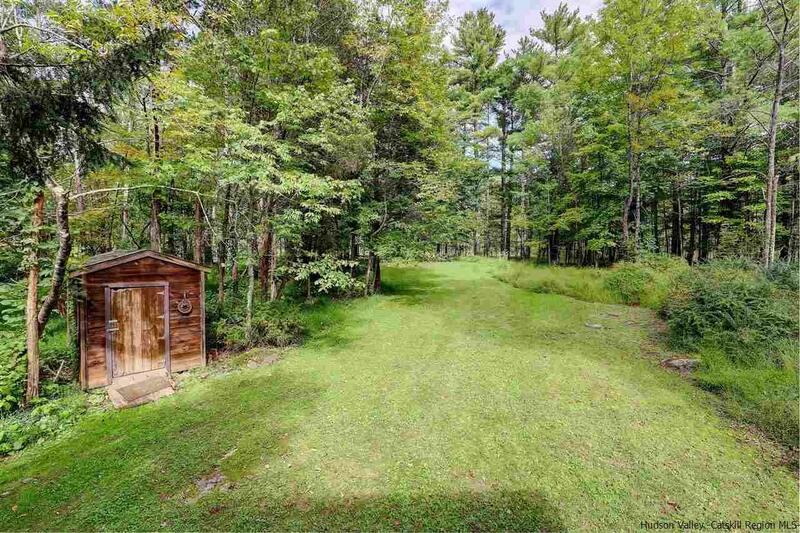 It is truly a magical property. 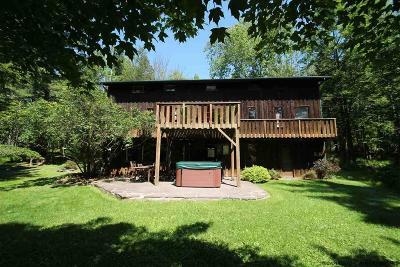 Multiple use configurations and an extremely strong history of high rental income make this property easy to afford. Located in the prestigious artists' enclave of Byrdcliffe, this classic is featured on the cover of the book "Woodstock Handmade homes".